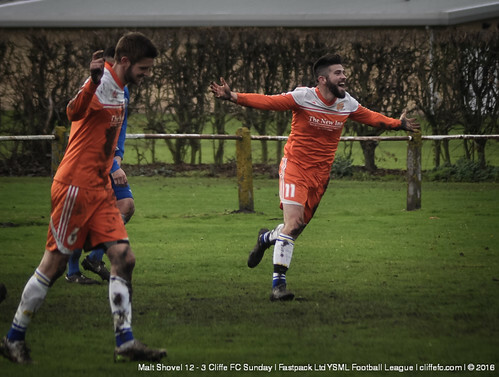 Tough weekend for Cliffe FC, but the club keeps going – 5-1 defeat at Tockwith on Saturday, 12-3 defeat at title contenders Malt Shovel on Sunday. Another bad day on the road for Cliffe FC, losing 5-1 at Tockwith – individual errors being punished leaving Cliffe with too much to do in the end. Cliffe were 3-0 at the break, the aforementioned errors seeing Tockwith gifted their goals. Cliffe did have a set of chances themselves, Keiran Gallagher having a shot saved at 0-0, and Cliffe looking a threat on the break. 3-0 at HT. After HT, Cliffe were much better with Matt Holmes at CB with eventual MOTM Paul Brown also at CB. Isaac Leach got Cliffe a goal, Kev Taylor with the assist, Leach racing through one-on-one before waiting for the ‘keeper to make his move and slot the ball past him for 3-1. Tockwith pushed for more goals towards the end as the game opened up and got two more goals, again sloppy from Cliffe’s point of view to see the home side win 5-1, FT. MOTM was Brown, but special mention to Alex Hartley who stepped up to play in goal after a GK crisis which saw Cliffe have three unavailable ‘keepers. Next week is a six-pointer, away to Rawcliffe. Must win for Cliffe FC. Cliffe FC Reserves game this weekend was postponed. 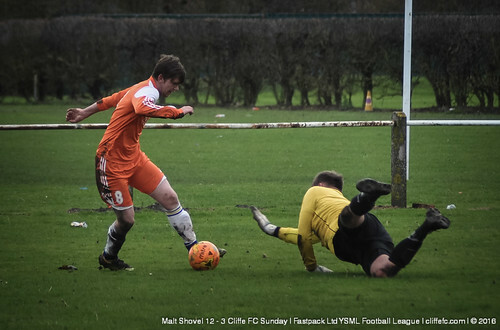 Life in the top flight continues to be hard for Cliffe FC Sunday, Malt Shovel handing out a 12-3 defeat. Cliffe have positives work with, a second half rally that had Shovel rattled and frustrated. It was 7-0 at the break, a flurry of goals in the first 30 minutes before HT. 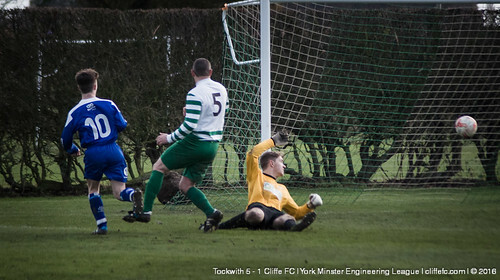 The scoreline of the second half was 5-3 as Cliffe got themselves on the score-sheet – a Dave Jackson own-goal. Glynn Richardson squeezed in two headers before the end of the match, which saw Shovel score 5 more times in the second-half for 12-3 FT. Callum Ransome was deserved MOTM for Cliffe FC, a solid display as the solo striker, unfortunate not to get on the score-sheet. Next week, it’s County Cup tie for Cliffe FC Sunday – away to Brandesburton.